She has danced for 15 years, and loves flowers, ice cream, shoes, working out, and most importantly, dogs. She also let me know her dad had an old truck and she was dying to take some pictures with it! So naturally, I knew we had to incorporate all those things into her session. The beginning of her shoot day was honestly really rough. I was on day 2 of a migraine and the weather outside was super overcast and not helping. I honestly almost called her momma to last second reschedule because I was in so much pain, but after praying some more about it and taking a quick nap, I knew that the show most go on! I’m so happy that I didn’t give into my feelings and that we shot on the day we did. Kailee had three beautiful outfits and the overcast weather honestly worked in our favor. We had to shoot quick, but MAN, we got so many beautiful shots in that time frame! The clouds added the perfect fall vibes to the first half of our session, and then the sun came out in the most glorious way near the very end and God totally put on a show for us. We danced and laughed and listened to country music (Kailee’s favorite!) as sun rays burst through the clouds and lit up all of the Boise foothills. All in all, spending the day with Kailee, her momma, and her dad, was SO much fun. Kailee is sassy, sweet, smart, hilarious, and her parents love her so very much. Their gallery reveal was just as rewarding. They fall in love with all their photos (mom and dad both cried happy tears! 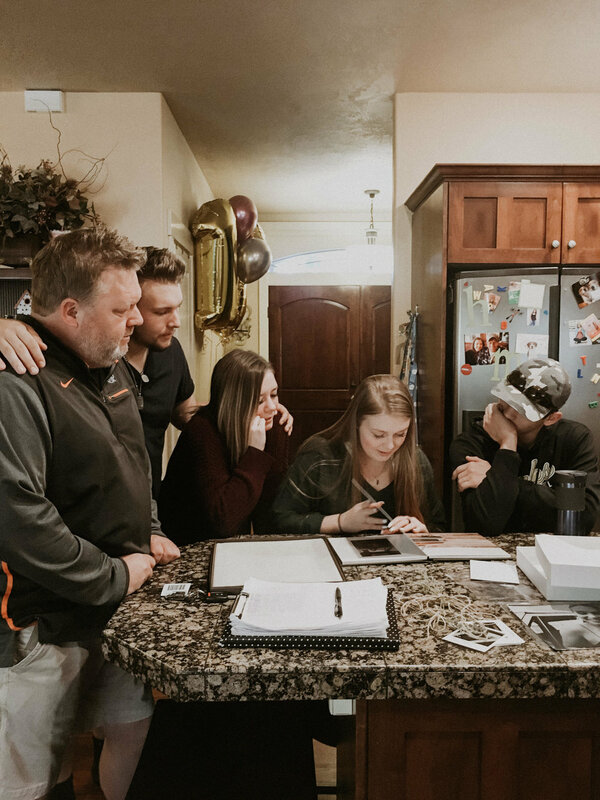 ), and will have some lovely prints to gift to family, a gorgeous 11x14 for their newly painted walls, and a BEAUTIFUL senior album to remember these memories forever! Thank you so much for the new and amazing memories, Kailee! I am so happy you reached out and chose me as your senior photographer! I hope you cherish these images for the rest of your life. I feel truly blessed to have been able to capture you during your senior year.